Home » 2015 Minutes » MARFC at the Toledo Speedway for Glass City Late Model 200! MARFC at the Toledo Speedway for Glass City Late Model 200! Attention all MARFC Members & Race Fans! The Toledo Speedway will give all MARFC Members $ 5.00 off general admission tickets for this event by showing your current 2015 membership card. Also the Michigan Automobile Racing Fan Club will be holding a fund raising auction at the Toledo Speedway on September 19, 2015 around 4:30pm during the Glass City Late Model 200. 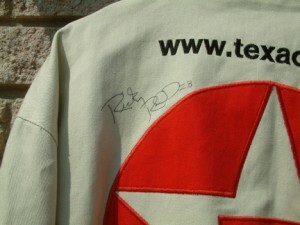 There will be three items up for bidding at this event. 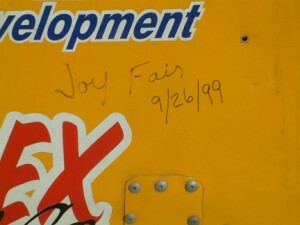 (1) An Autographed body panel off the ARCA # 1 Late Model Legend Joy Fair. 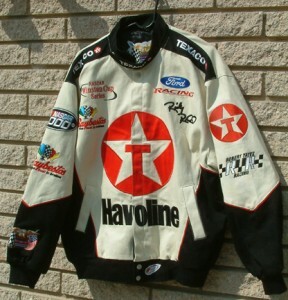 (2) A autographed Ricky Rudd Havoline Racing Jacket and (3) will be one other surprise item. 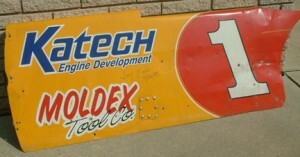 Get their early and check them out and be ready to bid big for these great pieces of racing history. So coming on down and help support our club and see some of the best Late Model auto racing in the area. Previous post MARFC Long Time Member Passes Away! Next post UPDATE ON MARFC AUCTION AT TOLEDO SPEEDWAY!